Five busloads of skiers and snowboarders from the Montreal area had to bed down for the night Sunday after the snowstorm forced Transports Québec to close Highway 138 to heavy vehicles overnight. 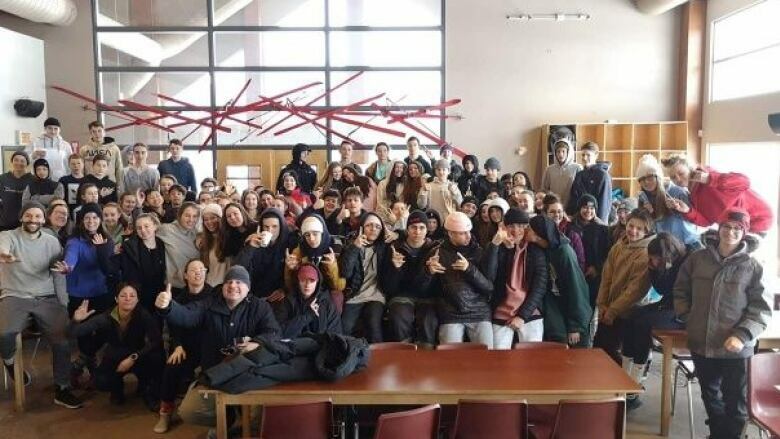 If there was a silver lining in Sunday's snowstorm, it came in the form of fresh powder and extra time on the slopes for more than 200 people — most of them high school and university students — at Le Massif ski resort in the Charlevoix region Sunday. 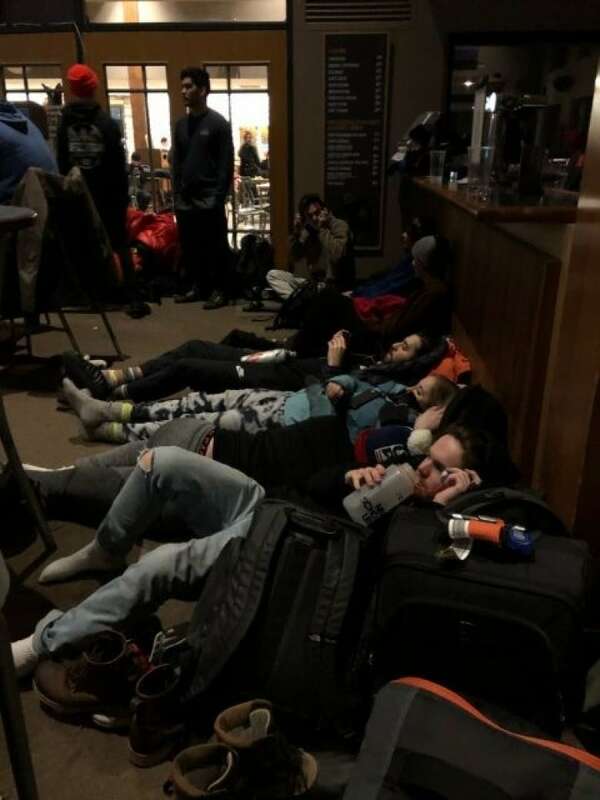 Five busloads of skiers and snowboarders from the Montreal area had to bed down for the night at the ski lodge after the snowstorm forced Transports Québec to close Highway 138 to heavy vehicles overnight. "It was quite a surprise for us," said the hill's manager of communications, Katherine Laflamme. She said most of the impromptu lodgers were from a high school in Saint-Jean-sur-Richelieu and from Concordia University. "They were pretty stoked about it," Laflamme said. "It was a kind of camping experience for them." "We had them over for supper and breakfast, and everybody went back to the buses with a big smile and a story to tell." The staff shut down and cleared out the lodge's bar to make room for the guests, and people slept on the floor, many using their coats and snow pants as cushions. Laflamme said she's never seen anything like it in her five years at Le Massif. "It was a big sleepover at the mountain after a great day of powdered skiing on the hill," she said. The resort's staff stayed in contact with local authorities to get road updates, and by mornng the students were on their way home. The road conditions may have been bad, but Laflamme said the ski and snowboard conditions were perfect, with 41 centimetres of fresh powder in 48 hours. "It's really like you float over the snow," Laflamme said. "It's really beautiful." The temperature rose Monday to –15 C.
"All we see all around is beautiful smiling people with a lot of snow and just having so much fun," said Laflamme.